The Cabinet of Ministers of Ukraine has set a task for Naftogaz Ukrainy enterprises to increase natural gas production in 2019 by 10.3% (1.7 billion cubic meters) compared to 2018, to 18.2 billion cubic meters. "The failure of the company's chairman of the board to execute the main expected performance indicators is the basis for making a decision on the early termination of his powers," according to cabinet resolution No. 161-r dated March 20, 2019, which extends the contract with Naftogaz head Andriy Kobolev for a year. 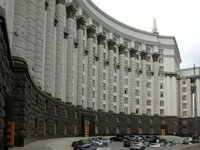 The Cabinet of Ministers also instructed the company's leadership to separate gas transportation activities by January 1, 2020, ensure gas transit through the Ukrainian GTS to the EU countries after January 1, 2020 by creating the necessary legal and technical prerequisites.